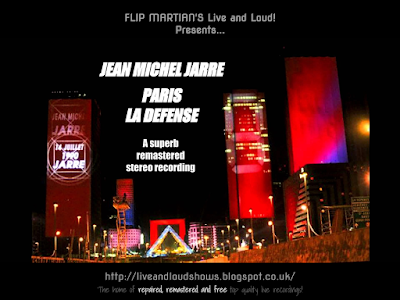 In 1990, Jean Michel Jarre released his 10th studio album, Waiting For Cousteau, dedicated to marine conservationist Jacques Cousteau, on Cousteau’s 80th birthday on 11 June. A month later he promoted the album with a huge live event in Paris, on Bastille Day. Backed by many of his usual collaborators on synthesisers and drums, he was joined by a steel band, a choir and enormous marionettes alongside the usual extravagant light show. The show was watched by an estimated 2.5 million people live in the city, setting a new record. The original copy of the FM broadcast I had given to me (thank you, you know who you are!) was quite thin and compressed but with some patient EQ and fixing a couple of defects, now sounds far better, if not entirely compression free. In the 1990s a VHS video was issued of this show but that had tracks missing; this recording does have all tracks present. Incidentally, in common with other French broadcast recordings I have, they do like to talk in between tracks! 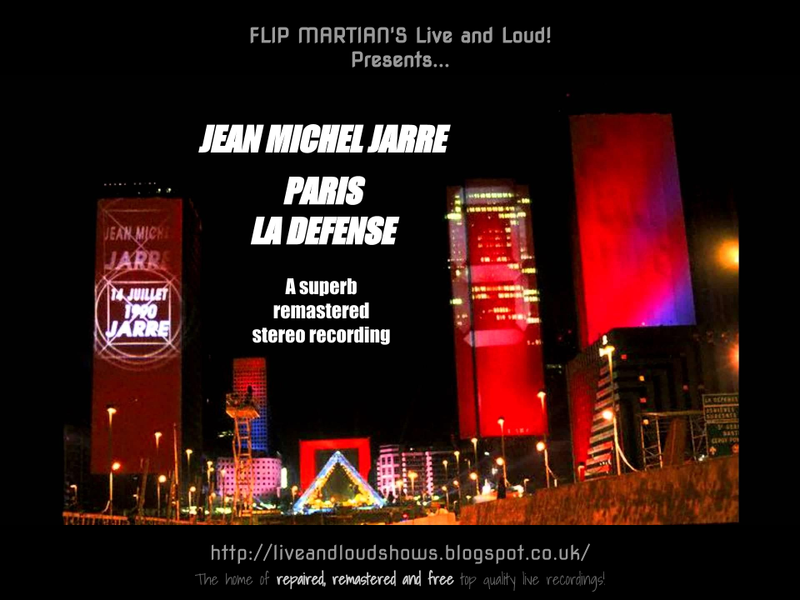 So you will hear the odd spoken link in between tracks, as well as at the end of the recording before M. Jarre says his final farewell. Thanks, this is fantastic - I've not heard it since university days (ie many, many moons ago!). Nicely tidied up sound too. I have found a 1979 show - no idea yet whether its listenable yet! If you're on Facebook, give me a shot on the Flip Martian facebook group or the page of the same name to remind me to check - got a large stockpile to go through currently!